Some memories never fade. It was the beginning of the Asian financial crisis in 1998. Rushing across what then was a parking lot, I scrambled into the West Villa Restaurant in Glorietta Makati to find Henry Sy, Sr, founder of the SM group of the Philippines seated at a round, linen-covered table in animated conversation. As soon as he saw me approaching, he stood up sporting a wide smile, shook my hands and then introduced me to Jose Cuisia, Jr, vice-chairman of SM Prime Holdings and Jose T Sio, CFO. The irony of that first meeting with Sy was lost on me until recently. At the time, Asia was careening dangerously off-course from the hubris of the go-go days of the mid-1990s. Yet, the lunch gathering was to celebrate corporate probity and to present the founder with the award for the Best Philippine Company for Strategy and Management, Reliable Forecasting and Financial Accounts as voted by global institutional investors. Sy was mightily chuffed to be recognized by outside investors not least as the company went public just four years earlier. At the lunch, Sy shared his approach to running the company, the excitement and the opportunities the Philippines offered and why, despite the deteriorating market condition regionally, it was not a time to be faint-hearted. But it was the moment when he learned that I went to the same high school as his children that stuck in my memory. With nary a hesitation, he swiftly asked for a phone and called them to join the lunch. From that meeting onwards, Sy was to lead the SM group to even greater heights. Today, SM Prime, with a market capitalization of over US$18 billion, is just one of a number of listed companies within his empire. SM Prime, together with SM Investments (US$20.9 billion) and BDO Unibank (US$11 billion) regularly top the annual ranking of the Philippine Stock Exchange top-10 largest companies by market capitalization. Meanwhile, SM companies continue to be rated among the most preferred companies among global institutional investors. It would be nearly a decade later, in the middle of 2007, when the opportunity to meet with the founder of the SM group presented itself. 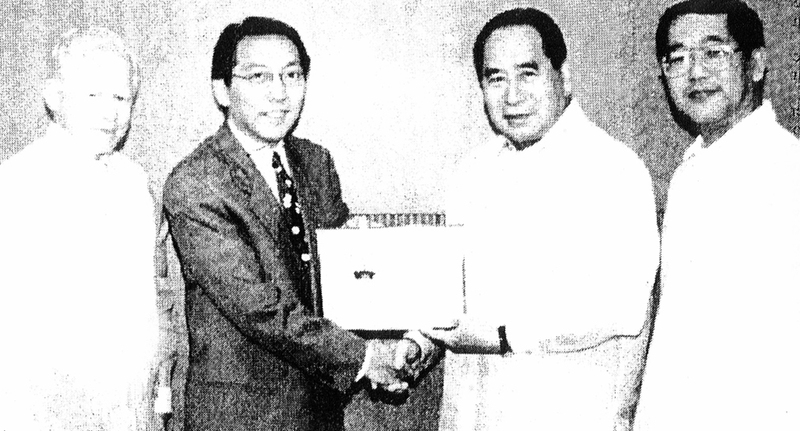 By now, Sy was the country's richest man. This was also nine months before Bear Stearns was to be taken over by J.P. Morgan, the precursor to the global financial crisis that turned out to be just around the corner. Sy had just completed the biggest bank merger in the Philippines that catapulted SM to also become the country's biggest banking group. This time, it was up close and personal. 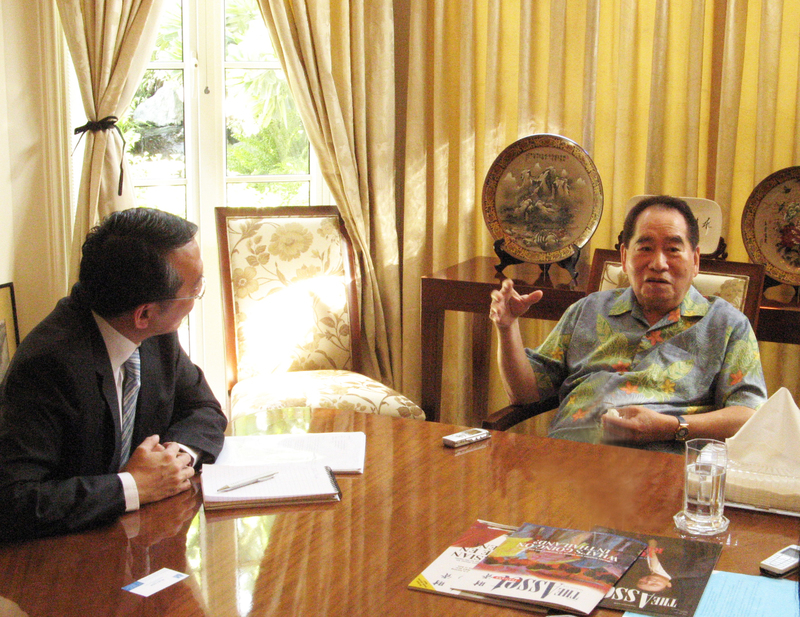 I wanted to probe deeper into the past, how he migrated from Jinjiang, China at the age of 12 to join his father in the Philippines; I also wanted to understand his psyche and especially his approach to business and what's behind his streak of good fortune winning one business deal after another. We met at his residence in Forbes Park, the most expensive gated community in the country. Although his six children were overseeing key parts of the still expanding empire together with teams of professional and trusted management, Sy was showing little sign of slowing down at 83. At the time, he was mapping out SM's strategy to develop a 60-hectare reclaimed property facing the famed Manila Bay and the complexity of getting the ambitious project off the ground. We covered plenty of ground in the quiet surrounds of his study. Nearly three hours later, I was exhausted mentally. He walked me out accompanied by his daughter, Elizabeth. We stood briefly by the main door basking in the afternoon sunlight. We said our farewell and agreed to try and find another time to meet again in the future. The next day, I flew back to Hong Kong with many and my most difficult questions answered. It is easy to assume that having reached the apex of success, an entrepreneur such as Sy had some inherent magical power that made him special, thus different from the rest, enabling him to rise from humble beginnings to become the Philippines' richest man today. 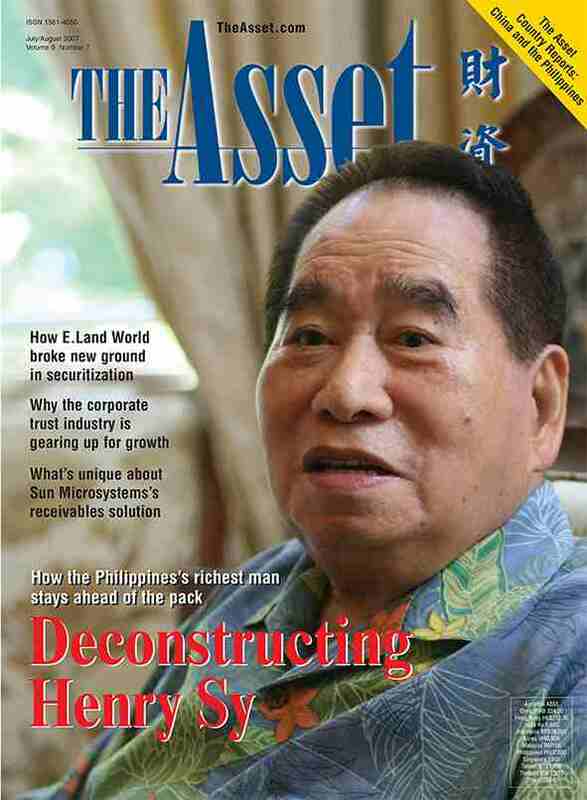 As The Asset portrayed him in the 4,000-word cover story published in the July/August 2007 edition entitled Deconstructing Henry Sy, in fact what's behind his claim to fame (and fortune) is far more mundane. It consists of taking chances such as when he decided to fly to New York in the 1950s, which he described as his "biggest chance". At the time, the trip from Manila to New York took 46 hours with stops in Guam, Wake Island, Honolulu, San Francisco and Chicago. "I did not know anyone when I went on my first trip. Shopping malls in the US were just being developed. I saw so many things and I knew they could be adapted to the Philippines." It is also about not following the herd. When the Philippines faced a financial crisis in the early 1980s, he recalled that many people were thinking of running away. "The economic situation was dire," he remembered. Instead, Sy took the opposite view and boldly approached the government pension fund and proposed to acquire a piece of land in the middle of nowhere along a stretch of highway. It helped that the pension fund was in dire need of cash and eventually agreed to sell. In November 1985, Sy opened SM North EDSA, the first mall that will lead on to 70 others that dot almost every urban centre in the country today. Finally, there is the good, old-fashioned putting your nose to the grindstone. Sy talked a lot about focus, planning and perfecting a strategy. That requires hours and hours of thinking, deliberation, testing and getting it right. Along the way, failures may be distracting. But Sy related that he never walked away from a deal he had set his sights on. One reason was his belief that one should not just depend on what was happening. "You should always be ahead; many of the things that we do are not according to market trends." As his empire grew, so did the financing requirements. Sy also began to tap the capital markets not just for equity financing but also for fixed income both in the domestic and in the international markets often becoming the de facto benchmark for corporate issuers in the country. As a regular issuer, Sy appreciated that he needed to maintain the trust of investors by offering deals that made sense not just to meet his own cost targets but also reflecting market conditions. He also had to maintain transparent and reliable accounts to assure investors, just as he did when he won the award 20 years ago. What has helped, too is Sy's ability to maintain family harmony. With six children – Teresita, Elizabeth, Henry, Jr, Hans, Herbert and Harley – it probably was, at times, easier said than done. But for him, the family was vital to SM group's long-term success. With family, trust is a given. Combining that with professional management, he epitomized the leader of a modern Asian company that draws from the best practices of East and the West. Many of the traits that made Sy a success, therefore, are what most of us possess innately and get to face on a day-to-day basis. It is, for example, probably a good idea to take chances when it made sense; to not necessarily follow what the rest are doing, but to develop critical thinking in understanding every situation; it is also about building trust; and it is about always putting in the hard work, never giving up, to make sure that whatever you do is the best that it can be. As we remember the life and times of Henry Sy, Sr with his passing at age 94, these traits are probably what he would also counsel others. After all, they are what fathers would counsel their children. That perhaps was why Sy was also fondly called Tatang or father.